If you've been following the US presidential campaigns at all this year, you've probably already noticed the bizarre, circus-like experience it has become. Well, the circus has just added a Jim Rose tent, and new White House hopeful, Zoltan Istvan, has implanted an RFID/NFC chip into his hand. The Transhumanist Party, which was created in October of 2014 by Istvan, California resident (where else? ), is a US political organisation that focuses on using science and technology to improve lives. Istvan's platform is that he wants to make it possible for humans to live forever with the use of technology. Whether it's a robotic exoskeleton, artificial limbs, or virtual eyesight, Istvan believes that we should spend more money on progressing biological technology and less money on defense. 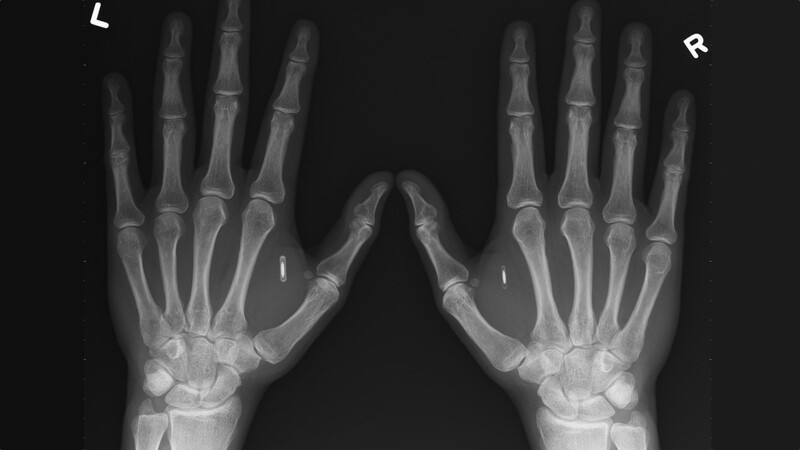 His recent visit to the bio-hacker attended GrindFest got him, and one journalist embedded with him, to take the plunge and get an RFID/NFC chip implanted in their hands. The chip can be used alongside a smartphone (Android-based, sorry but no Apple Pay) with a compatible app installed that would allow the implanted person to customize what the chip can do. For example, one GrindFest attendee programmed his chip to unlock and start his car with just a wave. Istvan hopes to program his chip to control the Meccano robot he brought along with him on his presidential campaign. We may not get a transhumanist president in 2016, but when such technology already exists as implants that help the visually impaired to see, makes one's fingertips magnetic, and can restart your heart if it fails, one can see how Istvan's hope for a cyborgian future doesn't seem that far fetched.